Melania Trump will travel to Washington this week, where she will serve as the "special guest" at a State Department ceremony. The first lady is expected to attend the International Women of Courage awards ceremony on Wednesday, an event hosted by the State Department that celebrates courageous efforts advocating for women's equality, social progress and human rights -- often in the face of immense personal risk. Melania Trump hosted a White House luncheon earlier this month on International Women's Day, and spearheaded the reopening of White House tours as part of her platform as first lady. The former model-turned-first lady has kept a relatively low profile since her husband took his oath of office as president. 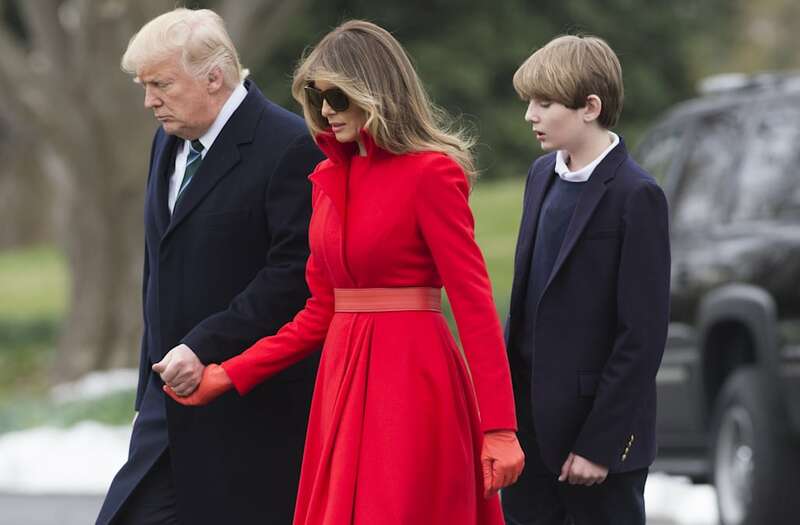 Melania and son, Barron, continue to maintain their permanent residence at their Manhattan penthouse in New York, although reports continue to confirm the pair will move into the White House after Barron finishes school this year. Melania Trump has also been seen spending weekends with the president at his Mar-a-Lago resort.